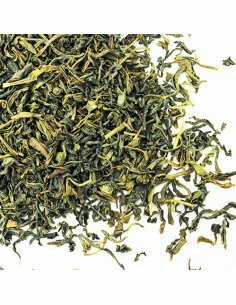 This organic green gunpowder tea is a delicious green tea with a well-rounded smooth flavour and a fresh aroma. The Gunpowder tea got its name from the processing of the tea leaves which are rolled and twisted until the tea looks like small gunpowder pellets. Use a 1 teaspoon per cup, brew for 1-3 minutes in hot water (80-85 °C). Do not use boiling hot water on green tea as it will result in a bitter brew. 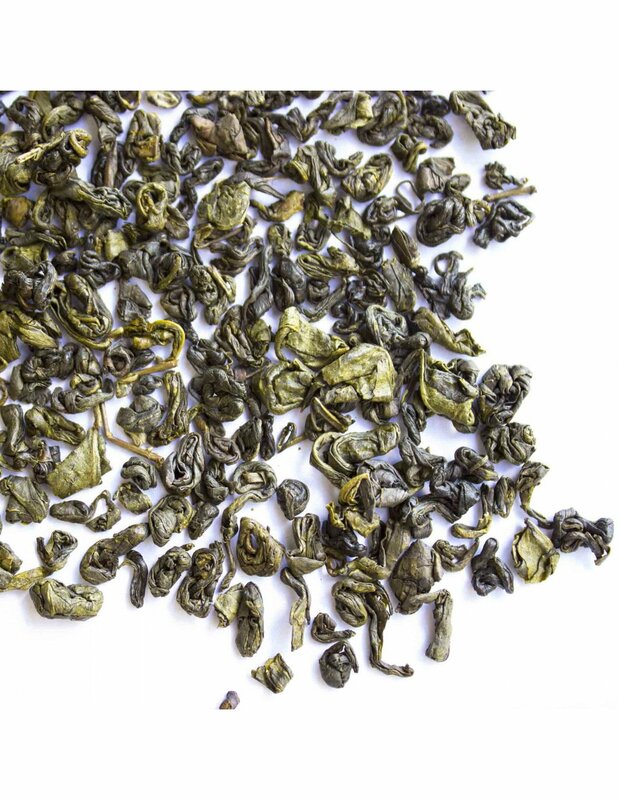 Organic green gunpowder tea is a delicious green tea with a well-rounded smooth flavour and a fresh aroma. The Gunpowder tea got its name from the processing of the tea leaves which are rolled and twisted until the tea looks like small gunpowder pellets. Use a 1 teaspoon per cup, brew for 1-3 minutes in hot water (80-85 °C). Do not use boiling hot water on green tea as it will result in a bitter brew.